When I shared our plans for CC cycle 3 back in August, I had many requests to see my actual lesson plans. I started to write down specific lessons to share, but to be honest there is just no point because I don’t even write it down for myself. So instead of writing up lessons to share with you all, I thought I would share the very simple method that I use to plan our lessons for history and science which correlate with our current CC cycle. Hopefully this will help you put together some simple plans for yourself. It’s super easy! I choose books, activities, or curriculum that will correlate with the themes of the year and (hopefully) be a joy for us to use together. This is one of my favorite parts! I don’t try to correlate with every single piece of memory work, instead I plan in a general theme: for example US history – I choose some good books and activities within that theme. Anatomy- I choose some good books and activities within that theme. I purchase the books and put them on an easy to access bookshelf. I make a list of activities in my bullet journal. I also like to keep a secret board of activities I actually want to do on Pinterest. We work through the books and activities as we can throughout the year. I don’t keep a strict schedule, it’s more of a gentle loop schedule. We usually get around to reading aloud on our books once a day, and doing a related activity or notebooking what we’ve learned once a week. My personal notebooking method is below. I will also explain how I adapt this for various ages later in this post. When we read together, or if they read an assigned book alone, I ask my girls to give oral narrations following the CM method. This post from Simply Charlotte Mason gives a great explanation of this process. The others have to respectfully listen as the narrations are given or sometimes it’s just one on one. I typically will have one child narrate one set of pages, and another narrate the next so that they will not be narrating the exact same section during the times that everyone is narrating. I then choose a passage from the book that they should copy and illustrate. I write the copywork down on a white board and prop it up with this lovely bamboo book holder, Sometimes I prop open a book as well if we are copying the picture or using it as inspiration. We use white cardstock and black Ticonderoga pencils, once the writing and coloring is done, they get water colors (quite watered down) for the background. I like to trace their handwriting with a black archive pen, and then I laminate them (date the back and write their name), hole punch, and place them in a three ring binder. At times, we will sit down together and look through our binders, I will have my girls read to me their copywork and narrate the stories to me again to ensure that they are retaining these things in their memory. We try to practice every day in some way, shape, or form. Sometimes multiple times a day! I try to do all the strands of memory work on some days, and on others I will have a focus like just history or just Latin, etc… I use various methods: kindle fire has a great geography game, kindle fire also just released the CC cycle 3 app which we just got, we use the CDs at home and in the car (I like that they have the ability to just play straight through and you don’t have to keep selecting something like you do on the app or on CC connected), we play review games, and sometimes we do quizzing where I actually record how much of it they really know and get an idea about which facts we need to focus in on more. Pre-K and K – I suggest simple read alouds with lots of pictures. If you get a book like the ones from Beautiful Feet with great pictures, but a lot of words then simply read a few lines from each page. They are not ready for formal narration or copywork, so just help them color a picture and talk about what you all have learned together as you work on it. This is also the perfect age for costumes or for doing something interactive like making butter when reading about pioneer life or pretending to be pilgrims on the Mayflower outside on a playground. Make learning fun! 1st grade – This is the year that things gently pick up the pace. Read picture books aloud, they will have a much better ability to sit, listen, and understand than they did in preschool and Kindergarten. This is a great time to introduce a really interesting chapter book during read-aloud time, and see how they take to it. If they hate it, then put it away and try again in a few months, perhaps with a different book. 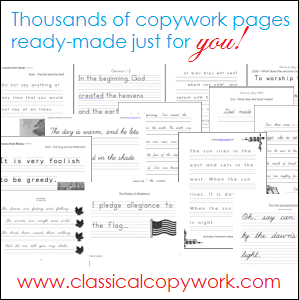 They should be ready to begin copywork. Start with just one sentence, and work your way up from there. They also can begin doing narration with prompts such as: “Why did Christopher Columbus want to sail to the Indies?” after reading a Christopher Columbus book out loud to them. This is still a year of learning through play as well, all the ideas above will help your first grader remember what he/she learned much better. You could also add in Story of the World at this age, but know that there are several stories you may want to help your child understand from a Biblical perspective or choose to skip while they are young. I recommend reading or listening through Story of the World on your own first so that you will be able to teach it with a Biblical framework to your child. The book itself does not do the discerning for you, it’s just the historical story with very little slant. 2nd and 3rd – Continue patterns started in first grade. They can read books on their own now, so select some on their level, but you will also want to continue read-alouds because they can understand much more than they can actually read. At this point chapter books should hold their attention, and they will likely begin reading them for themselves during this time frame. Have the child narrate the story back with very little question prompts, but instead simply have the child retell the story back to you. If they are curious about a certain memory work fact or timeline fact, you can set them up with a book or article to do a little research on it and to report back to you or prepare for a presentation. 4th – This is where I am now in my homeschool journey, so I don’t have much beyond here other than my ideas of what I plan to do and what I am currently doing, but for my 4th grader she is capable of doing written narrations and large passages of copywork to correlate with our history, science, and geography reading. We don’t do as much copywork anymore because she is writing a great deal in Essentials. She also is capable of drawing and labeling more detailed science diagrams and explaining them. This is a great age for assigned reading to fill out and expand memory work. I recommend the Who Was books, we bought a whole set at the start of the year to correlate with all the memory work. They are primarily for my 4th grader, although a few of them we are all enjoying as read-alouds together. 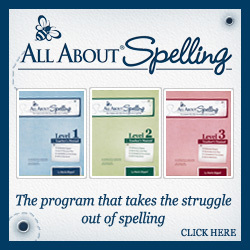 They are perfect for a fourth through sixth grader as far as reading level. If not coordinating with memory work every single week drives you crazy or if your kids ask a million questions about the memory work, then I highly suggest the Acts and Facts Cards! We have them and use them for various activities, and they certainly come in handy when memory work questions arise. They are quick and easy explanations of all the memory work, including the timeline, and they have pictures which really help younger kids who are visual learners. I recommend reading them for yourself, then putting it into your own language because the cards can be dry and above the level of younger elementary students. Usually a few sentences and some pictures via google image is a satisfactory explanation for the young learners, and trust me, they will retain that much better than an overload of information on every piece of memory work. Speaking of overload, I hope I didn’t overload your brain! But now you know how I do it. I tend to write lengthy blog posts, sorry not sorry. For those who really want to learn how I do it, I want to give the most thorough answer that I can give. Yep, it’s a good bit of reading, but it’s worth it to feel like you can be a fly on the wall in someone’s homeschool planning session. If this seems like your lesson planning style the go get started making those simple plans. No need to complicate things or to waste time. It’s as easy as picking up a book or activity from your collection, diving in, and enjoying it together… bonus if you throw in cookies or a cup of tea because… who doesn’t love sweets and tea with their books and notebooking? I know we do! Happy homeschooling to you mamas! 1 Comment Posted in Classical Conversations, Notebooking, Schedules Routines & Plans OH my! Thank you for sharing. I found it extremely helpful. Hi there, and welcome to the blog that's focused on homeschooling to make disciples, not academic scholars. This is the little place on the web where children are considered blessings, obedience to God is a joy and not a burden, and education is much more about who we are becoming than about what we are learning. When we train our minds to look at all of life through the lens of the Scriptures, we can know and delight in God more with every single new thing we learn. That is the beautiful childhood and educational experience that I'm pursuing for my children, and I hope to use this little corner of the web to inspire you to do the same.